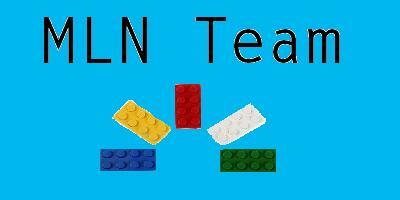 Do you think that Lego should adapt MLN so that it could be used via cell phone? I think they definately should, because the MAIN reason I don't get on it much is because I can't get on it on my phone. If they did adapt it, I would probably be on MLN like every day! What do you guys and gals think? you mean from like an I-phone?? Well I don't have a "phone" but YES, they totally should be accessible to them!!! Boxcargirl wrote: you mean from like an I-phone?? Well I don't have a "phone" but YES, they totally should be accessible to them!!! Also, if you all think it would be a good idea, how would we convince Lego to do it? That's be awesome! That's one of the only things I can't do on an iPod Touch. crackers5 wrote: That's be awesome! That's one of the only things I can't do on an iPod Touch. I know right? I have an iPhone and I would just LOVE to be able to get on MLN on it. Yeah, that would be a cool idea. It would give me even more of a reason to want an iPhone. But like Roddy said, it'd be impossible to make anyone listen. Hey, LEGO has brought back themes! They brought back Space Police. The last time they had that theme was in 1993! They brought back Pirates last year, and I'm sure they've done plenty more. At the end of the day, they are a company trying to make money; they do listen to what people have to say, a lot more than most companies out there, in fact. But if the majority of the target group out there wouldn't want the theme back, then they won't do so. BTW, they're thinking about putting Bionicle pieces in the Pick a Brick section. Well, probably not here, but there's plenty of other ways to get in touch with them. Yes, they should! I have tried to get on with my iTouch before, but because you need to have "adobe flash" to load the page, and you don't have "adobe flash" on a iPod or phone, then you can't load it. I'd love an MLN App on my Ipod. Ok, I just posted this topic on the LMB's, so maybe Lego MIGHT do it. That would be awesome! It can be available on any type of technology: iPod Nano, iPod Touch. You could download the application from iTunes! I think that would be sweet! I don't have a cell phone yet, but when I do I would definitely use the app. Definetly! I'm all for it! that would be cool! i dont have a cell and probably if i get one it will be pre-paid............ so on the ipod toch/i phone you can get on MLNTeam? Mr.EPIC wrote: that would be cool! i dont have a cell and probably if i get one it will be pre-paid............ so on the ipod toch/i phone you can get on MLNTeam? Yes you can! Although if you have an iTouch you would need WiFi.